Heads up! St. Vincent just announced two Los Angeles show dates. Catch St. Vincent (aka Annie Clark) live at The Belasco and the Hollywood Palladium. St. Vincent will headline a one-off intimate evening unlike any other U.S. gig, taking place Tuesday, October 2 at The Belasco. For this special performance only, St. Vincent will sing a full set at the intimate Belasco Theater accompanied only by piano player Thomas Bartlett! Additionally, St. Vincent and her band—Toko Yasuda (bass, background vocals), Daniel Mintseris (keyboard) and Matt Johnson (drums)—will headline a Halloween show on Monday, October 29 at the Hollywood Palladium. Tickets to St. Vincent’s intimate performance at The Belasco are priced at $39.50. This special performance is a seated engagement. Tickets are on sale now! GET TICKETS TO ST. VINCENT AT THE BELASCO! Tickets to St. Vincent’s full band performance at the Hollywood Palladium are priced at $39.50. This is a standing room show. Tickets are on sale now! GET TICKETS TO ST. VINCENT AT THE HOLLYWOOD PALLADIUM! 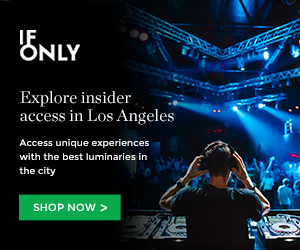 This entry was posted in Featured Stories, Just Announced and tagged hollywood palladium, st. vincent, The Belasco on September 28, 2018 by Sandra Burciaga Olinger.